The fourth of five movements in Handel's Recorder Sonata in C major, this is the only movement in the sonata which is explicitly dance-related. 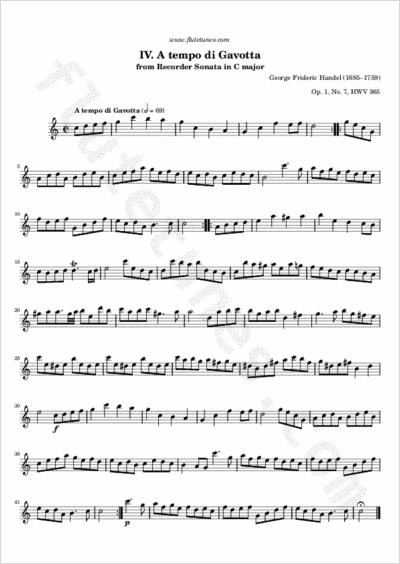 In fact, its title means “in the time of a gavotte”, with reference to a French folk dance of moderate tempo that was very popular during the Baroque era. This movement has a quite unusual structure: it's made up of three sections of increasing length (4, 8 and 34 bars), each with repeat markings.